Alternativa3 is a cooperative that elaborates organic and Fairtrade products. Our goal is to offer responsible, sustainable and quality alternatives to the products that are in everyday use, especially coffee, cocoa and cane sugar. Our daily routine is based on the elaboration of healthy products, without any conservatives or artificial additives, taking care of the elaboration process and using a selection of the best raw ingredients, always Fairtrade and Organic ones. Nowadays we are the only organic and Fairtrade cocoa processing plant in Spain. We bet on quality, innovation, responsibility and social and environmental sustainability. For this reason, Fairtrade is one of the most important pillars in our cooperative. 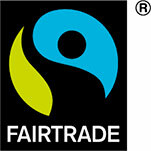 Fairtrade combines social justice, environment respectful and economy sustainable. Rosa and Antonio discovered Fairtrade at the end of the 80’s, while they were living in Germany. They felt that Fairtrade was the marketing idea that fit with their worries and way of life. They came back to Spain and created AlterNativa3, and from that moment they have kept its essence, always looking for products that take care of people and environment. AlterNativa3 was created in 1992 and 3 years later we started to elaborate our own products, opening the first 100% Fairtrade toaster coffee in Spain. Our cooperative bents on social responsibility politics in all areas: with the farmers, keeping long-term relationships; with the consumer, offering the highest quality and transparency; in our working environment, following labour conciliation, enabling decisions making in teams, sustainable environment and gender equality. Working in AlterNativa3 allows us to be part of the building of a better reality where people are above the economic benefit.